How does Payreq MyPay integrate with QuickBooks Online to send payroll documents to Canada Post epost? How do I upload QuickBooks paystubs to Payreq Mypay? Why are some Mail documents under the Pending Send tab with a status "Awaiting subscription"? Why are some Mail documents under the Pending Send tab with a status "Awaiting credit"? How do I purchase more Credits to send Payroll documents? Where can I find my epost Employer Code? How do employees register for Payreq Mypay with epost? How do I disconnect my QuickBooks connection? Payreq Mypay securely sends a list of the Employee numbers and their address postal codes to Canada Post epost to allow employees to subscribe to receive their payroll documents. To subscribe, the Company employees subscribe to the Payreq MyPay mailer as listed in the epost mailer directory. 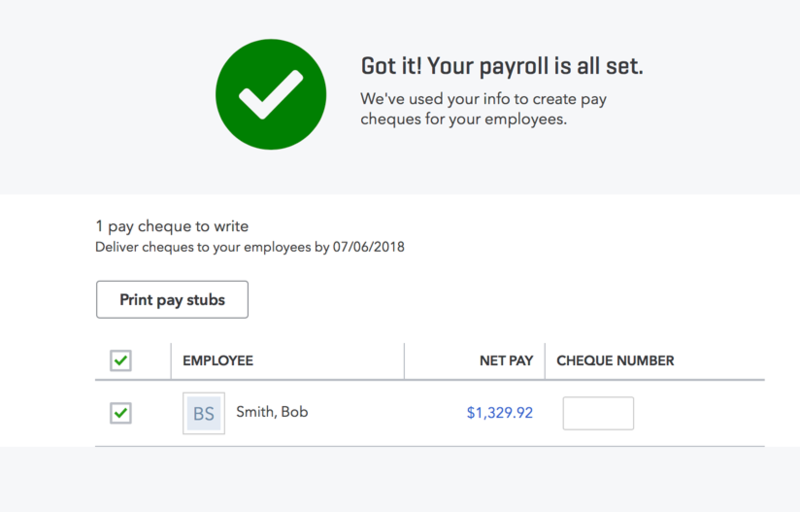 In the subscription page of Payreq MyPay, the employee enters in their employer id (given to them by their employer; allocated by Payreq during the setup process), their employee number and their postal code. 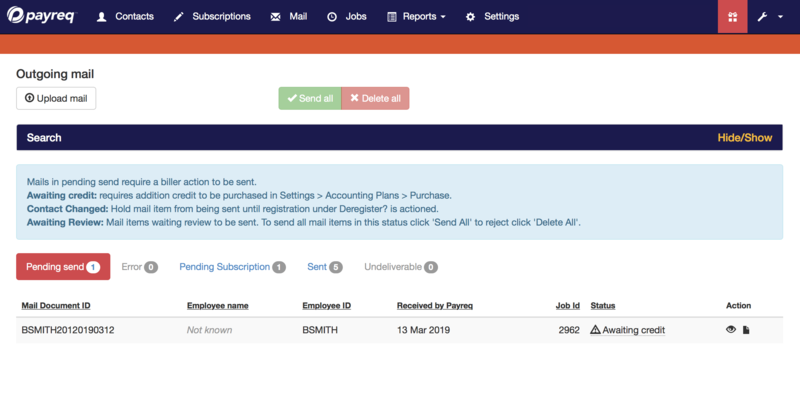 If the three fields match, epost will immediately present the successful subscription message to the employee. Successful subscriptions will be displayed to the employer in the Payreq MyPay concole within 24 hours. 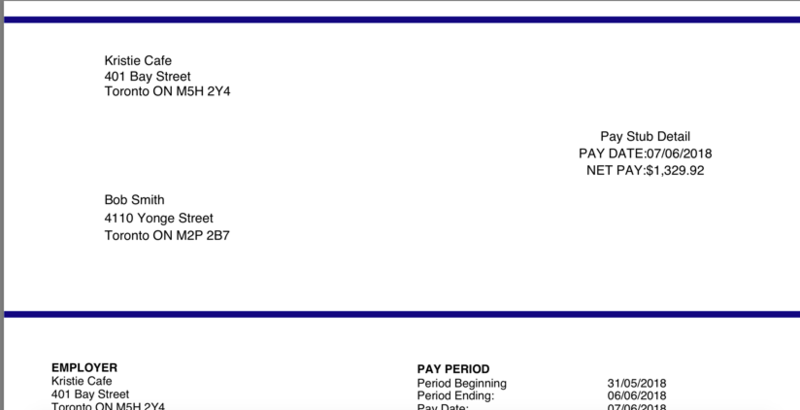 The employer upload a single PDF of all the pay stubs created by QuickBooks Online to the Payreq console and the Payreq application will send the pay stubs to the subscribed employees' epost mailbox. The employee will receive a notification from epost that mail has arrived from Payreq MyPay. Contacts are employees in QuickBooks that may subscribe to receive payroll documents from your company. Subscriptions are employees that have successfully registered to receive documents into their Canada Post epost mailbox. 4. 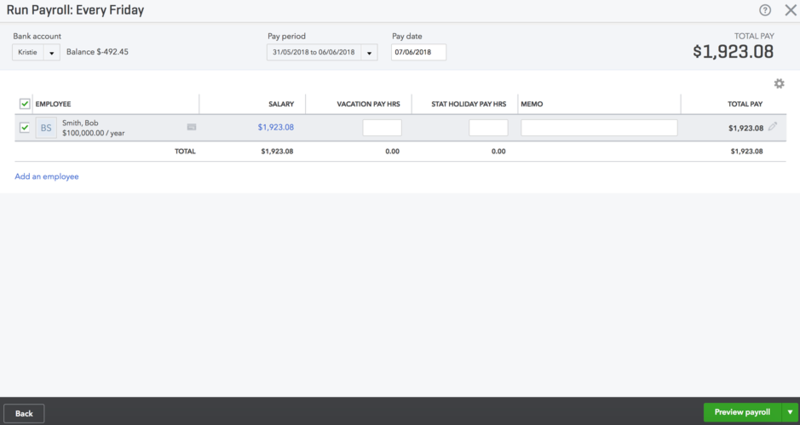 Enter the required payroll information and click "Preview payroll"
5.	Review the payroll information and click "Submit Payroll"
6. Click Print pay subs and download the paystub pdf. 8. Click My Apps and select Launch for Payreq Mypay. 10. Then click Upload Mail. 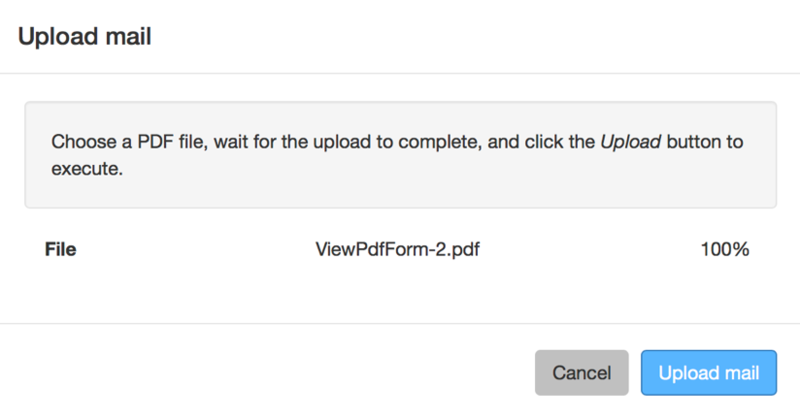 Select the pdf that was downloaded in step 5 and click Upload. 11. The upload job will be started and it's progress can be viewed by click Jobs in the menu bar. 12. 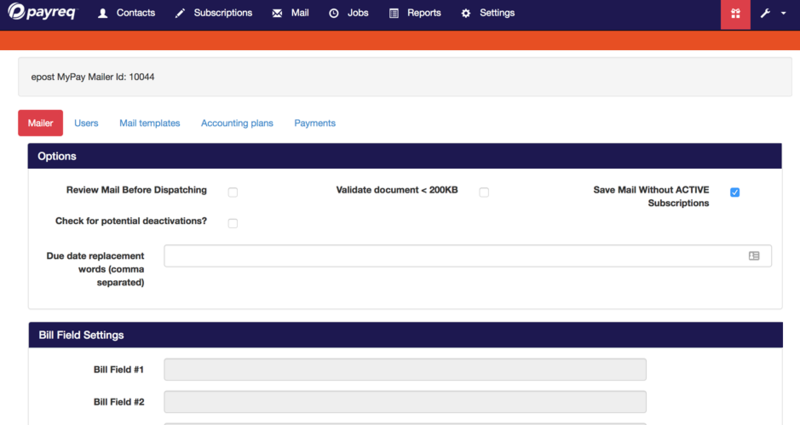 When the job is complete the paystub documents to be sent to epost can be seen by click Mail in the menu bar. 13. To view the details of the document click on the Mail Document ID in the table. When a paystub pdf is uploaded Payreq will determine if an employee is registered for epost. For those that are subscribed the documents will be sent to epost and appear under the Sent tab. 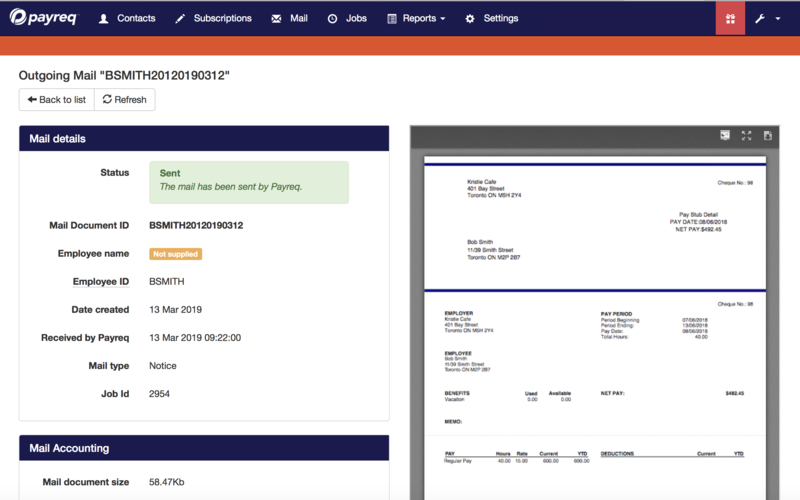 However, for employees that have not subscribed their documents will be saved under the Pending send tab with a status "Awaiting Subscription". When a user subscribes to epost all their stored documents "Awaiting Subscription" will be sent to epost for viewing. When the mailer has run out of credits to send documents mail will appear under the Pending send tab with the status "Awaiting credit". To send mail please purchase additional credits following the instructions under "How do I purchase more Credits to send Payroll documents?" 1. 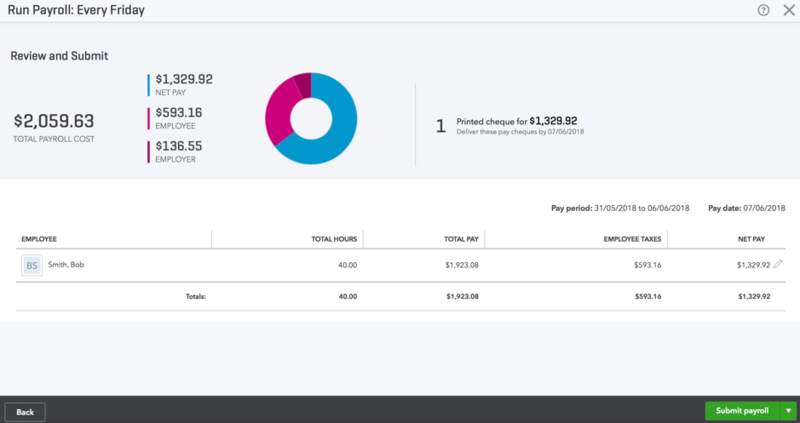 In the Payreq console go to Settings > Accounting plans and click the "Purchase credits" button. The employer code required for subscription can be found in the Payreq console under Settings. It is the number after epost MyPay Mailer Id: in the grey box. In the screenshot below the employer code is 10044. In the Payreq console go to Settings > Billers. Scroll down to QuickBooks properties and click the Disconnect from QuickBooks button. How do I re-connect to QuickBooks? In the Payreq console go to Settings > Billers. Scroll down to QuickBooks properties and click the Connect to QuickBooks button.